Professional, reputable and locally owned massage therapy office is hiring a part-time or full-time Licensed Massage Therapist who enjoys working in a smaller private practice setting. 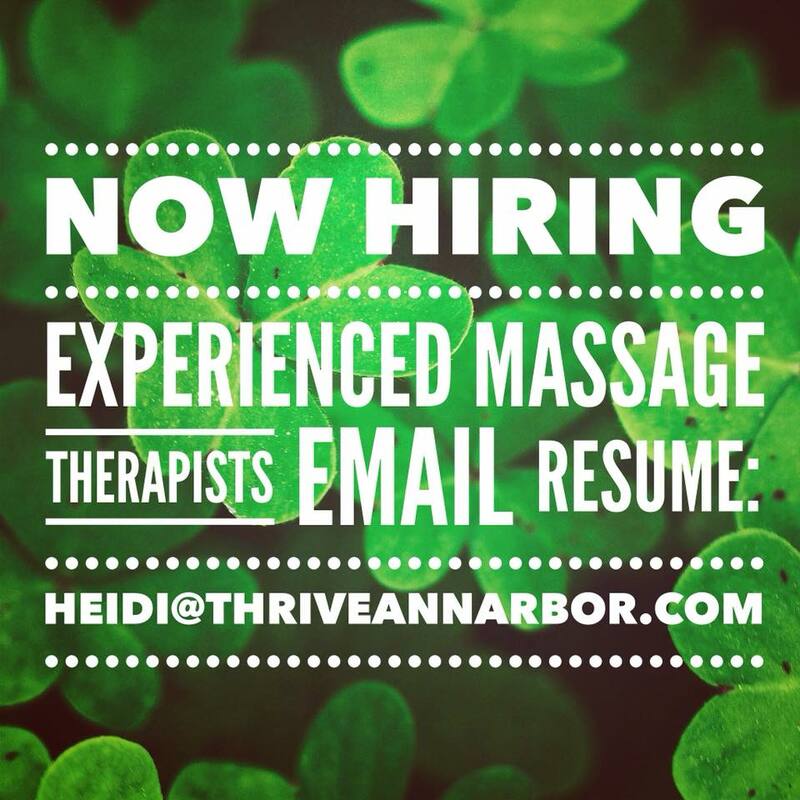 I am seeking a committed, reliable and motivated LMT to join my massage practice. Modalities currently practiced include: relaxation, deep tissue, sport, myofascial and prenatal. I offer a competitive hourly rate, an online client booking system, a variety of social media and email marketing options, as well as an opportunity to grow your clientele base.